Press release: Bobby Hewitt's Rockstar Energy Racing (RER) Team, is pleased to announce it has signed a three-year contract with KTM Motorsports for its team to race aboard KTM motorcycles in both the AMA Supercross and Pro Motocross Championship Series. The team will make its KTM debut on October 19, 2013 at the Monster Energy Cup. The KTM brand has had great success over the past two seasons capturing both 450 and 250 Motocross and Supercross class wins. Both KTM and RER strive to continue to improve the overall race results and exposure gained in professional racing. Through KTM’s Factory Service Program, which allows racers and support teams the opportunity to purchase the same engine and suspension components as the factory team, the RER Team will have the platform it needs to deliver the results that the team, it’s riders and it’s sponsors are looking to achieve. 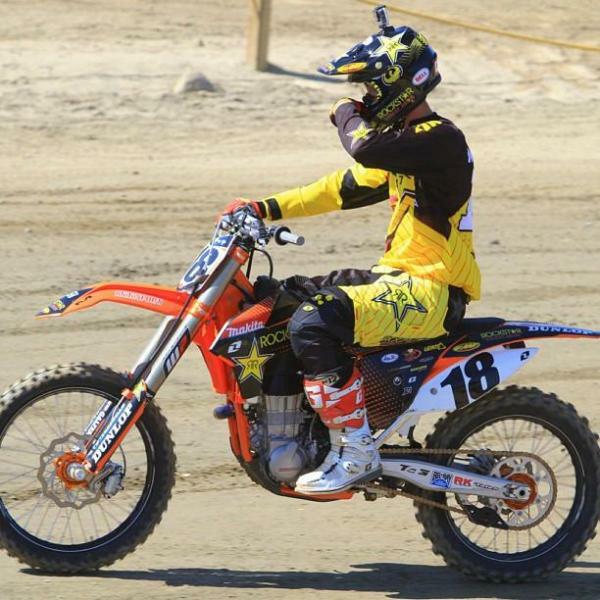 For 2014, RER will continue to support Davi Millsaps as its premier 450 Supercross and Motocross class rider. It will also field a two-man lites team with returning rider Jason Anderson as well as the 2013 Rookie of the Year, Joey Savatgy. The title sponsor will remain with Rockstar Energy Drink and the remainder of the 2013 season sponsors will return to support the team for the 2014 season.